Each child is so unique you connect with them in such different ways. It is a wonderful surprise when you seek and find one of these connections. My one year old surprised me when he climbed up on my lap as I watched a cooking show. He happily watched two cooking programs with me. All the other kids could really care less about my cooking fetish but I might have a kindred spirit in this area in my Baby Boy. It is like a grain of mustard seed, which, when sown on the ground, is the smallest of all the seeds on earth, yet when it is sown it grows up and becomes larger than all the garden plants and puts out large branches, so that the birds of the air can make nests in its shade. And so often a mommy has a day where she doesn’t feel up to the task… she is so tired… so warn down… she just wants to go to bed… she wants the impossible… the impossible is being able to put her mommy job on pause. It takes faith to hold it together. It takes faith to be a mommy, faith that I am up to the task. It takes faith to be a wife, faith that our marriage will go the distance. I know it is Gods will that I hold it together. It is Gods will for me to be a good mommy to these four babes. It is Gods will for me to be a wife and for our marriage to go the distance. And in knowing his will in these areas, my faith is in him and from him. Garnet came home with the above tapestry for me. He found it at a favorite store of mine and knew I would like it in our bedroom. Why did he do this? He felt lead to do it for me yesterday. This is his style… no reason other then he wanted to love me in this way, at this time. He didn’t know I was having one of those day… but he couldn’t have had better timing. He spoke the above verse to me as he gave me the gift. He felt it would be great to hang with the verse above it in the future. Mommy’s don’t always get spoiled in such obvious ways when they are having one of THOSE DAYS or weeks, been there when it all seems to loom over your head for much longer then a mear day… but if we put our trust in Christ more about the mommy and wife stuff Christ will spoil us with the faith to make it through. This winter will for ever be the winter that my sisters found us. My Dad had not been in contact with them for almost 35 years. They didn’t even know we existed (we being my brothers and I, their half siblings). A call to the right Al and they found him. That lead them to connecting with Aaron, Jesse and I on facebook and it has all lead to us planning to get together! 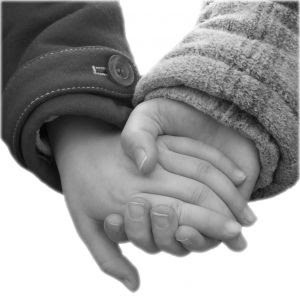 There have been many emails, instant message chats and long phone calls as we all get to know one another. There has even been skypeing! At first you think, wow life is complicated, and then you realize perhaps it was more complicated to not have this all worked out… maybe this is JUST RIGHT! p.s. Related to this post weeks ago: Two new people, important people, have appeared in my world and they come with questions and emotions and we, who are involved, are all trying to digest it all slowly and embrace the wonder of it all. Perhaps I will share more in the future but right now it still feels bigger then life! And today I will snap out of it. And you lead me, even though I do not see your footprints. Ok, I will let you tell me what right sacrifice is and why TIME keeps coming to my mind. Ok, I will trust you Jesus. may I not be able to foolishly hide it. And today I will… I will wait for your will… your will will be mine! I LOVE BEING LOVED BY YOU! YES You Can Be Too Young To Get Married! Big Boy asked me if he could wear his tux to school. We call it a tux but it is really a silk Asian outfit. I said it was too cold for that and he was pretty disappointed so I figured he had a game of ‘kung–fu‘ planned at lunch and let him wear the top with some warmer pants. I later found out he and a little girl from his class (who also came dressed in her wedding outfit) got married at lunch break! Big Girl (my oldest) was there and was able to confirm it was a lovely wedding. I couldn’t believe my guy went through with it! Usually grade one boys are grossed out by girls and all their silly romantic games! Well I couldn’t believe it and couldn’t believe they didn’t think to invite their parents! I asked him later (when we where alone) if he liked this girl and he smiled real big and whispered to me ‘Uh-hu Mommy, I like her.” Well I guess that answers it all… you gotta like someone to cooperate with a wedding! 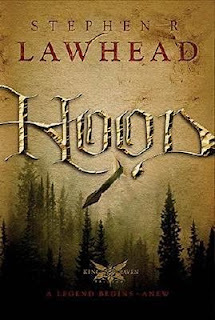 Often I find I enjoy Lawhead’s trilogies so much that I read threw the series as if it where one book. Usually I buy or borrow the complete set with this already in mind but not this time. As I finished Hood I felt like I had but ended another chapter… I can hardly wait to find the other two books. Stephen R. Lawhead is a knowledgeable myth and historical fiction writer. This knew Welsh take on Robin Hood is brilliant in my mind but perhaps I am bias with Welsh blood running in my veins. His explanation for his new take on the legend is intriguing and perhaps would lead even the Robin Hood purist to rethink their stand. The battle scenes where so fun to read I would get excited as I went through them. I had to share some with Garnet and even he was impressed and wanted to hear each battles completion. The characters have me captivated especially Angharad, the last of her kind, a Banfaith or True Bard and Aethelfrith, we all will recognise him immediately as Tuck, the fat and fire-y priest. As with all his books I am sure this all will lead to a grander thought and for now I am in the midst of discovering the books parable. A double date with my guy’s brother and wife. She is a dear sister of mine and so it was like going out with great friends as well as close family. We watched a silly movie… tense enough to excuse my snuggling up to my guy. We enjoyed a late evening meal at a very fashionable lounge. We all returned home to our babies and thanked the grandparents who watched both families worth of kids! Couldn’t have done it without them! 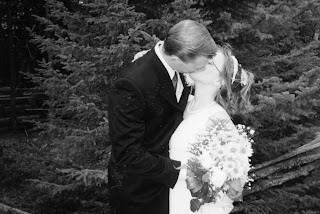 Today, watched our wedding video, first time in a long time. Garnet and I gave one another mushy looks and chuckled at the younger, perhaps sillier, versions of ourselves. I practically roared with laughter at my oldest son’s horror when the big kiss was played out on DVD. I had to elbow him after he exclaimed ‘Awe! You guys KISSED??! !’ Apparently he hasn’t been to enough weddings. The date was enjoyable and a refreshing break. The family movie was a good reminder. The weekend was a touch of love and romance… I hope to be mushier with my man as the week goes on and not stop to appreciate our gift of love on Valentines day alone… ,but, for those of us who are well advanced in our marriages and well aged by our maturing love, that goes without saying! I’m the puddle… puddle of emotions and that is ok.
Today I awoke to a message of love from my friend. Today I was given beautiful roses from my neighbor lady. Today I was listened to by my dear sister, my dear friend. Today I got alone time with each of my children and saw so much in them. Today I got over myself as I saw each little gift from my Father in heaven. Jesus is so good to me. Is it ridiculously silly to say he is the best Valentine ever? He knew exactly what I needed! Poor Baby Boy, his sisters just found him irresistible tonight! They kept dressing him up when ever they could run him down. If he could talk he would say “Oh bother…” just like long suffering Winny-the-Pooh. My girls are such a refreshingly feminine influence on me! As we talk about Mom and Dad’s renewal ceremony this spring they have such fun ideas. When they noticed I had flowers in my hair the first time they had to know if they could do that this time. The conversation lead to headdresses and I am so excited that they want to have so much fun with this! They are hoping us three girls can have floral head dresses instead of bouquets. Perhaps this is a grand idea since we will be holding hands as we walk up. So now I am looking all over the Internet for ideas! They also want their hair done up (me too!) and so we are looking for something that makes your hair look really good too! This one looks like a bouquet on your head! Lol, I actually kinda dig it! 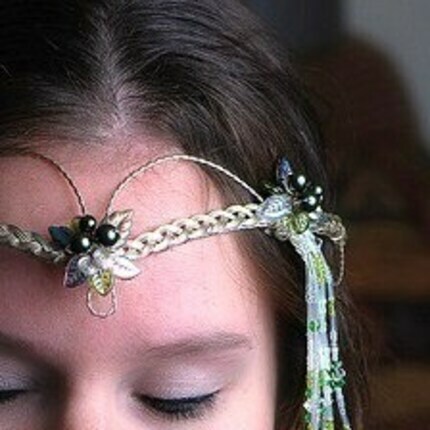 This is the fairy head dress! Getting in touch with my Celtic side! This one has a lovely look to the back! Ribbons might make it better! Perhaps this one is just right! I am no Martha Stewart so I wonder where you buy such a thing?